A few weeks ago I shared our Chocolate Chip Peanut Butter Snack Bites that I got to make with my kiddos. It was not only an easy, fast and delicious recipe that the entire family enjoyed, but it made me realize how many different ways Kraft Peanut Butter can be used. 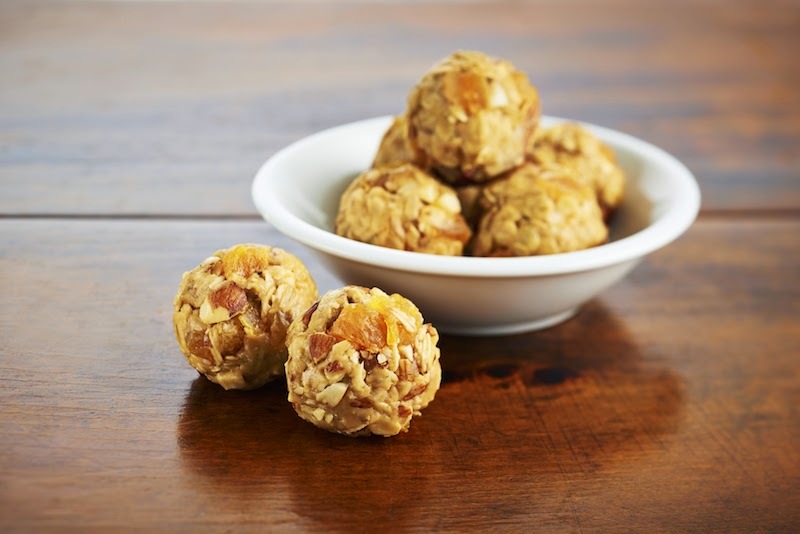 From easy Peanut Butter Snack Bites to making peanut butter cookies, there are so many different ways to use Kraft Peanut Butter. Since making my Chocolate Chip Peanut Butter Snack Bites, I've found so many recipes that have different variations. My favourite has to be the Peanut Butter and Apricot Snack Bite. I absolutely love apricots, so I can't wait to try this recipe myself because it looks delicious and will still take little to no time to make. Refrigerate 30 min. Roll into 20 (1-inch) balls, using about 2 Tbsp. for each. I also want to congratulate the winners of the Make It Yours contest, Maria Medeiros, Debbie Flynn, Rebecca Hart and Shanaz Allia! Visit sheblogs Canada to see the Make It Yours photo contest entries and to see more great recipes. These look delicious and are so easy to make too! I will have to try this recipe.